It is election season, and social studies teachers all across the country are taking advantage of current events to engage their students and generate greater enthusiasm in their subject. In the presentations I have made over the last couple of months, I have pointed out that mathematics teachers are the “new” social studies teachers. What do I mean? Traditionally, we have emphasized mathematics education for practical reasons. Students, and even more so parents, see mathematics as necessary to expand opportunities for further education and career options, and to a lesser degree as something necessary for functional literacy and personal problem-solving in daily life. This bias toward seeing mathematics as something necessary for employment and the economy has long historical roots. In the 14th century, European mercantile schools first began teaching arithmetic out of an economic need for efficient calculation. Similarly, arithmetic was added to the curriculum in the American Colonies largely in response to the needs of business. The current standards-based mathematics education reform effort continues to be driven by discussion of national economic interests and the associated emphasis on college and career readiness, and has its roots in national defense and economic interests stretching back to World War II and the Soviet launching of Sputnik. We should make no mistake: A strong foundation in mathematics does open up many professional opportunities, not only in STEM fields. But with the emergence of big data, this is increasingly the case in a wide variety of other careers not traditionally seen as quantitative in nature. The reality is that we live in a world today where mathematics is increasingly used to characterize societal problems and formulate proposed solutions. Mathematics underlies much of society, both seen and unseen, from polling and data mining in politics, to the complex mathematical models used to target advertising through social media. Without mathematics literacy, and a strong mathematics identity and sense of agency, members of our society will increasingly find it difficult to interpret, comprehend, and critique many of the decisions and actions of leaders in political, social, scientific, and economic institutions. In other words, mathematical literacy and problem-solving is now necessary for meaningful participation in our democratic institutions. Students must leave school with the quantitative and critical thinking skills necessary to make wise decisions not only in their own lives but also for society. As members of our democratic society, students will be presented with claims supported by data on a daily basis. Effectively engaged members of society need to be intelligent consumers of information and studies—capable of reasoning critically and questioning the implementation of statistical studies in the information, claims, and studies they will encounter. Effectively taught, with an emphasis on critical thinking and mathematical reasoning, mathematics education has the potential to combat the increasing problem of “truth decay” in our society. As teachers and leaders in mathematics education, we should never forget—or fail to appreciate—that as teachers and leaders, we are engaged in something much bigger than our daily tasks of instruction, curriculum, and assessment. We are engaged in empowering our students so that they can improve not only their own lives but can also better understand the world around them, become more informed members of our democratic society, and ultimately work toward its improvement. In that sense, mathematics teachers are as essential as social studies teachers to strengthening our democratic institutions and the continual improvement of our society! 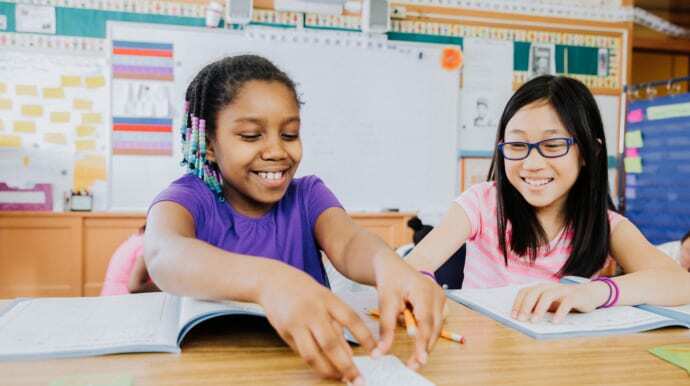 Learn more and book a keynote with Senior Fellow Dr. Matt Larson, past-president of NCTM, as you aim to improve math instruction and bring equity into the equation in your classroom.